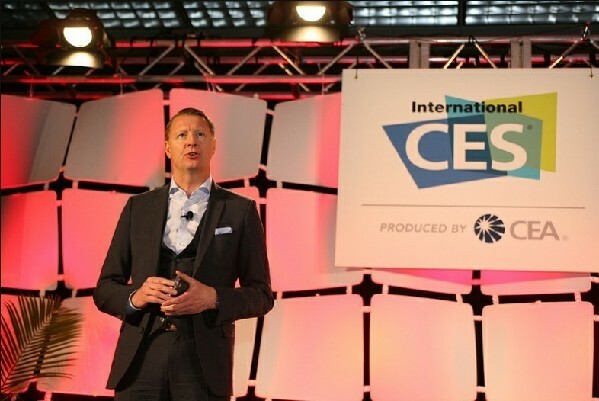 Ericsson President and CEO Hans Vestberg delivers a keynote speech on Networked Society at CES show in Las Vegas. The entertainment industry has proven success in embracing innovation, beginning with digital distribution. Ericsson's project with Avicci is a prime example that takes a further step into music creation and production. Ericsson will use the project as a proof point in conversations with other industries, according to its president and CEO Hans Vestberg, who presided over a ceremony launching the project in Las Vegas, Nevada. Avicci is a young, progressive artist who has tested new ground in ways of working and creating music. His fan base grew from nothing to tens of millions on social media alone, with his two recent singles on label Universal Music Sweden. He was recently ranked as the second most influential under-30 person in music by Forbes magazine. The project begins with asking Avicii's fans and producers from all over the world to contribute sound files over the Internet. Avicii will act as executive producer, curating content like the bass-line, effects, melody, rhythms, and vocals from contributors. He will then create the world's first "crowd-sourced" hit song, with a release date set on February 26, 2013. The 'Avicii x You' project, kicked off on January 9, has received more than 700 entries from fans of 66 countries, just within 24 hours, according to organizers. Avicii says: "I am thrilled to ask my fans to be part of the creative process. We're taking music production and distribution - and probably performance - to the next level." Avicii's manager and partner Ash says: "With the 'Avicii x You' project we are trying again to shift a paradigm and for it to become another 'first' using today's possibilities through technology. As usual, we hope to raise awareness not only for Avicii being an amazing producer, but also for the electronic dance music scene and how song producing is not exclusive to only trained musicians. It's a world-inspiring, community-engaging and fun project." "Our experience in enabling and supporting mobile communications, broadband networks and cloud-based services matches the fundamental needs of the project", said Arun Bhikshesvaran, Chief Marketing Officer of Ericsson. "By 2018, we believe mobile data traffic will grow about 12-fold from its current levels, driven by entertainment experiences. In addition, according to our 10 Hot Consumer Trends for 2013, social entertainment, collaboration and creativity in city life and cloud-based services are key ingredients of the evolving Networked Society.